My name is Kendra, and I love Miniature Horses. 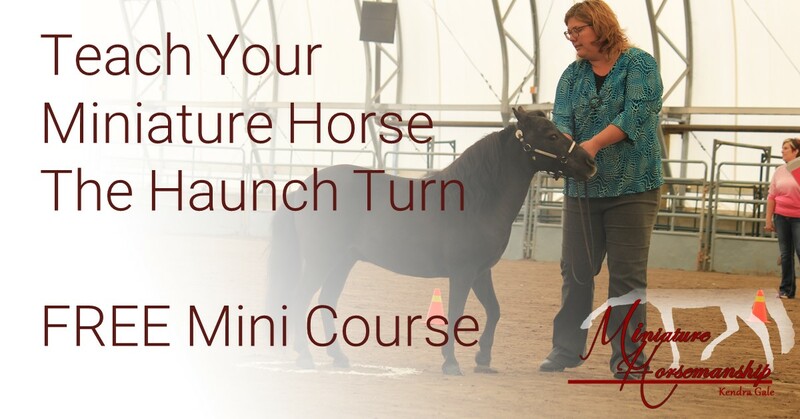 When I was very little my family got our first Miniature Horses, and for 35 years I've learned all I can about every aspect of Miniature Horsemanship ... and this online classroom is my dream come true, allowing me to reach Miniature Horse lovers all over the world. There's a lot of information here, so to help you get started, fill out the form below and choose which area you're interested in, and I'll send you some curated content about your chosen topic! Already Registered? Click here to find your courses! One-On-One coaching - from the comfort of your own barn! Register for the FREE Haunch Turn Mini Course to learn the easy, step by step method I use to teach the haunch turn. This proven technique makes it easy for your horse to understand, building on each baby step to create a confident and willing partner.